Recently Salman Khan along with brother Arbaaz Khan announced that they planning to begin shooting of super-hit Danbangg movie franchise sequel in Indore, which happens to be their birthplace as well. 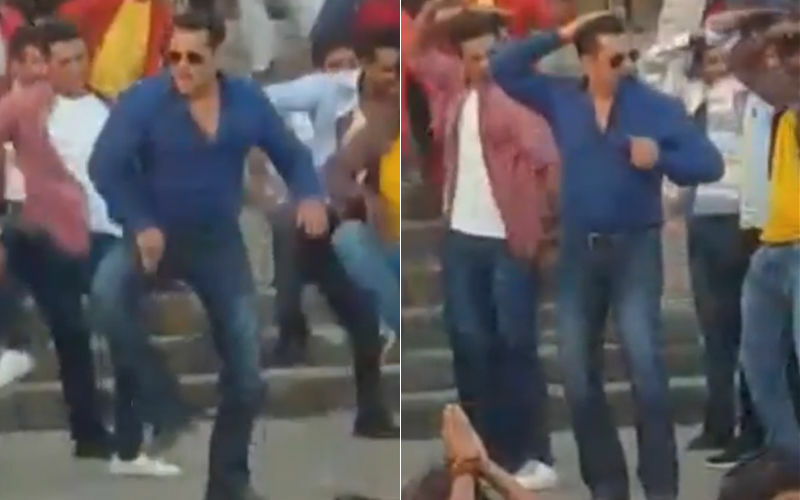 As per their announcement the shooting for Dabangg3 has begun and a video of Salman Khan dancing on a official Dabangg3 track in a blue formal shirt and black demins has thrashed the internet and viral on every social platform. Recently, the first look of Salman from the film was unveiled. Also, some inside details about the title song were revealed by a tabloid. A report in Mumbai Mirror stated that Salman will shoot for the title track with 500 background dancers and the song will be shot over a period of 13 days at Ahilya Fort.